It’s that time of the year when we can leave our winter blues behind us. The beautiful spring sunshine is embracing us more often and the days are lasting longer; it’s the perfect opportunity to start getting your exercise regime back on track. 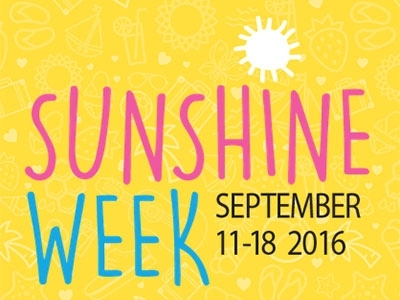 If that isn’t enough motivation itself, the 11th to 18th of September is Sunshine Week, a week of promoting physical activity and raising funds for the newest health service on the border… the Albury Wodonga Regional Cancer Centre. Did you know that exercise can actually reduce the risk of developing a preventative cancer? Studies show that being overweight, physically inactive and having a poor diet causes nearly one third of all cancers. Physical activity regulates hormones such as insulin-like growth factor and oestrogen and affects the speed that food passes through the bowel, reducing contact with any potential carcinogens (cancer causing particles). Did you know more than two dozen studies have shown that women who exercise have a 30 percent to 40 percent lower risk of breast cancer than their sedentary peers? Likewise more than three dozen studies show that exercisers reduce their risk of colon cancer by 20 percent. For those who have conquered cancer it is equally, if not more important, to start exercising as it plays a big factor in preventing recurrence as well. So start now! Aim for an accumulation of 30mins per day of physical activity. Whether that be a brisk walk, bike ride or swim, just go for it. If you are just starting out do three ten minute sessions, there really is no excuse. Exercise outdoors! Moving your body in the sunshine, is the perfect way to get you daily dose of vitamin D. Vitamin D is essential for strong bones and muscles, and plays an essential part in having a healthy immune system. The sun is the best natural source of vitamin D. In summer a 5-10min walk with arms exposed is beneficial for vitamin D production. However it is important to balance your sun exposure with risk of cancer. Being SunSmart is a simple and effective way to reduce your risk. Slip on sun-protective clothing, slop on SPF30+ sunscreen, slap on a broad brim hat, seek shade, and slide on some sunglasses. For those brave people that have been on the cancer journey it is important to note the importance of physiotherapy for your recovery. Physiotherapists can play a big role post-surgery, especially for those that have had abdominal or breast surgery. Forming appropriate strategies when moving to protect the operation site such as a log roll, can be fundamental to a successful outcome. Physios are also very good at establishing an appropriate exercise program for patients undergoing chemotherapy, radiotherapy or post-surgical. After big operations, activity restrictions apply, so don’t be a stranger to getting professional help. Physiotherapists are big advocators for the benefits of exercise for general health and wellbeing. Our bodies were made to move. If you embrace physical activity like you embrace the sun on a beautiful sunny day, you will definitely feel the benefits for yourself. Make Sunshine Week your week of making a start, or getting yourself “back out there” after a long wet winter. There’s no time like the present!